G.H. Complete Construction Services | Working with you and for you. It went well, fast, with pleasant, polite employees all the way through. We are so excited about our new kitchen. It turned out beautiful. Thanks GH! Both Chaim and Tom were great, offering great advise and communication. Easily reachable. The longest time was to get the city to do the permits. After that the phases were done very quickly, professionally and one phase after another. The gas reroute was the major problem encountered. They handled all of the process with the City Inspections, Architecture drawings etc. Workers were skilled in their jobs and was always at ease with the project. A job well done. Description of work: Extended two-car garage to add additional storage room equivalent to almost 3/4 of a one-car garage. It was a wierd triangle that was added so that maximum space towards the neighbors fence could be used. Involved adding a new roof line, slab, framing. Redoing the rafters to support a wall that was removed and conversion from a single double door garage to two single garage doors. Involved new hardi-board siding re-do of some brick portions, electrical additions and gas reroute. The end result was a garage that did not look like any extension was done. Blended into the original look. Painted the entire garage inside and outside. We suffered damage due to hail from a storm. We had a company come out and tell us we had no damage. Then we were contacted by G.H. and they offered us a free assessment to see if there was damage. We had them out and sure enough we did have damage. They met the insurance adjuster when he came out and got us the money to replace the roof. The work was done in a short period of time and we could not be more pleased. We could not be more pleased with their work. They arrived exactly when they said they would. They were extremely clean and efficient and they were very respectful of the employees working in the fleet office. They constructed the addition with the old wall in place to minimize the noise. I would HIGHLY recommend GH Complete Construction and we will definitely use them again! These guys are awesome. The showed up with samples, suggestions, a fair price and a plan that made sense. I suggest to anyone looking for a contractor should give this guys a call. That are the best. 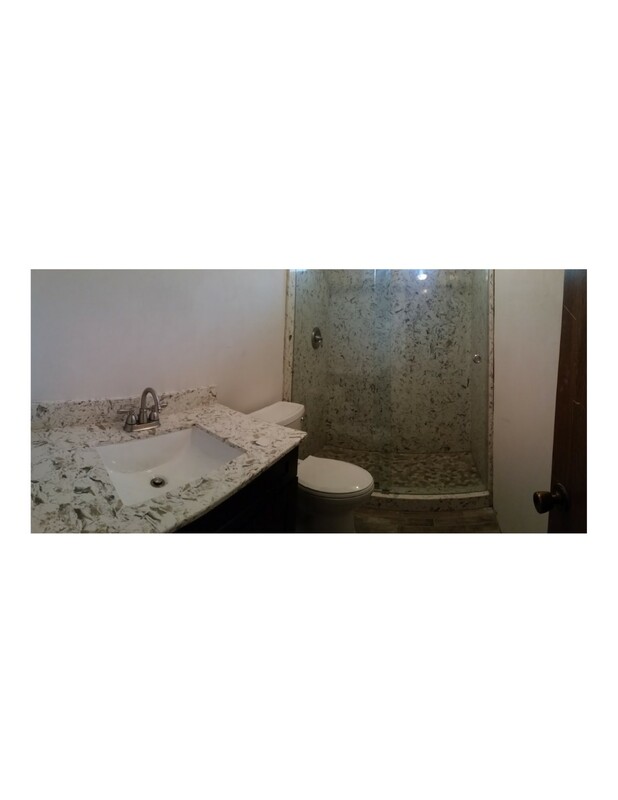 Description of work: Hardwood floors, new granite counter tops and some tile work. When we relocated to our new house, we needed help with getting the house ready for move-in. GH Construction handled everything for us flawlessly. They add bathroom and bedroom in the second floor by dividing the big existing ones into two bedrooms and two bathrooms. Painting, cleaning, repairs, water heater replacement, a long list of activities. They replace damaged soffit, fascia, Hardie Siding, and trims. Pressure, wash exterior of the house including caulking of all windows, doors and paint the exterior as well as some interior painting. I was extremely pleased with the quality of workmanship. They assigns a project manager so that the project is supervised by one person from beginning to end. All G H Construction employees were professional, punctual and friendly. I appreciated that everyone was very respectful of my home. They did a great job for us and we have used them again since then. We have referred them to families and friends also. A solid firm to do business with. I will continue to use them for all of my home repairs and improvements, big and small. I highly recommend this company.